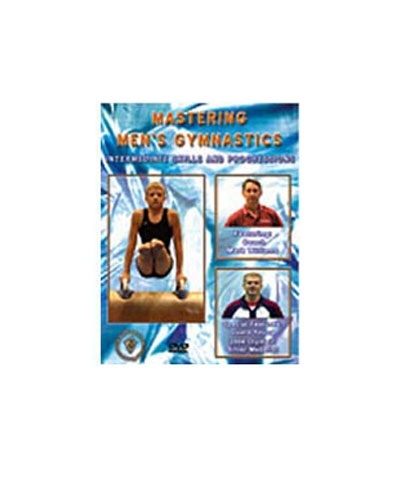 This comprehensive DVD encompasses all aspects of gymnastic training at the intermediate level. The DVD helps gymnasts develop beyond the beginning compulsory skills to build routines through the rules of the FIG (International Gymnastics Federation) Code of Points. Topics covered include: techniques and progressions for floor exercise, pommel horse, still rings, vault, parallel bars and the horizontal bar. University of Oklahoma Head Men's Gymnastics Coach Mark Williams provides detailed information that will assist gymnastics coaches and instructors at any level. He emphasizes the requirements for each event that will enable gymnasts to build a foundation of intermediate skills to construct optional routines. 77 minutes. 2004. About the Coach: University of Oklahoma Head Coach Mark Williams is one of the most respected gymnastics authorities in the United States. He has coached at every level of the sport, from beginners to Olympians. Williams has guided OU to two national titles and has been named NCAA Coach of the Year twice. He has the highest winning percentage of any active NCAA coach, at 93 percent, and has guided gymnasts to World Championships, Pan American Games, University Games, and Olympic teams.